Dimensions 0.50 by 7 by 10.25 in. Swamp Thing. Zatanna. Frankenstein. Madame Xanadu. Deadman. Black Orchid. Vampire Andrew Bennett. Nightmare Nurse. Once they were the Justice League Dark, defending Earth against supernatural threats. Now they are nowhereâand nowhen. From the mind of comics legend J.M. DeMatteis and artists Andres Guinaldo and Tom Derenick comes JUSTICE LEAGUE DARK: LOST IN FOREVER, a mind-expanding journey to a placeâand timeâbeyond imagining! 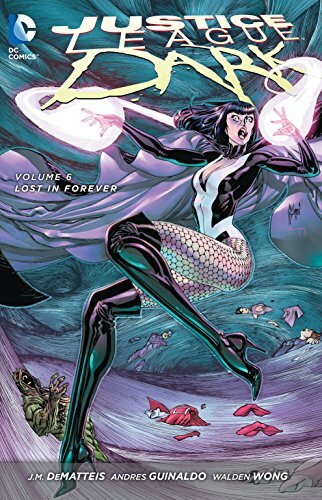 Collects JUSTICE LEAGUE DARK #35-40, JUSTICE LEAGUE DARK ANNUAL #2.